Nephrology Training Program applicants should apply through ERAS. The UVA Nephrology Fellowship program participates in the National Residency Match Program (NRMP). Applicants for the T32 research training program should apply by email to Nephrology_T32@virginia.edu and indicate their interest in the Nephrology training grant. Applicants to the T32 training program must meet the citizenship/residency requirements at the time of award. Graduates from foreign medical schools are encouraged to apply and all visa subtypes are considered. Following receipt of the completed application and letters of reference, interviews are arranged. Interviews are conducted in the early fall. 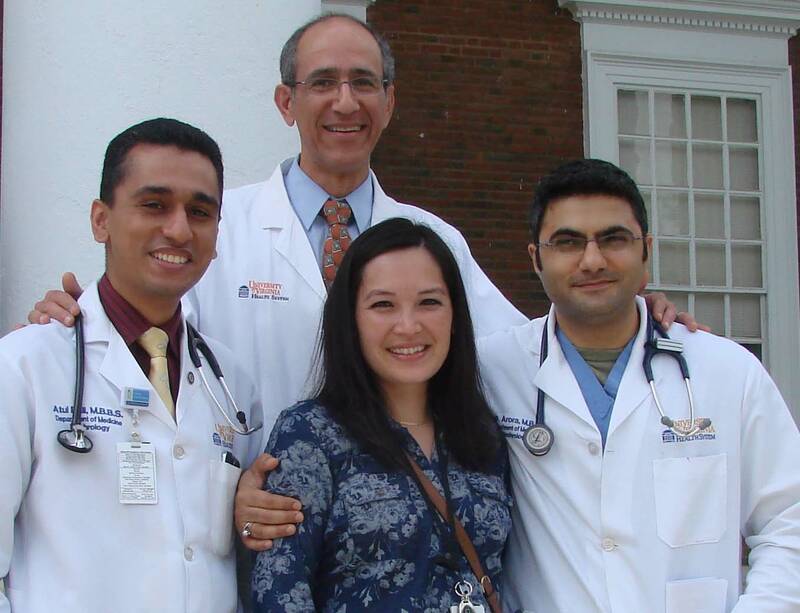 For information on housestaff benefits, credentialing requirements, and other important information, please visit the UVA Graduate Medical Education web site.